A garden is only successful if the correct growing media is chosen. Gardeners have the choice between growing their plants in a planting mix or a sterile potting soil. Plant varieties have different soil requirements, especially at different periods in growth. Potting mixes and potting soils serve specific purposes in this regard. Potting mixes are soil-less and are used for growing seedlings for transplants. The soil-less mixture has a small amount of microorganisms, giving seeds a sterile environment to germinate and grow. This prevents diseases and speeds up plant growth because there is little competition for resources. 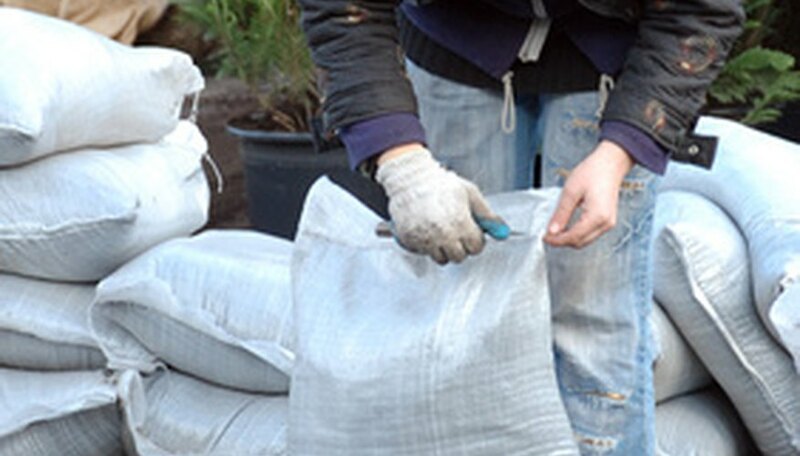 Soil-less potting mixes may contain peat or compost, which do not technically count as soil. Potting soil has a rate of high water absorbency and is usually made of natural, organic materials such as peat moss, compost and manures. Inorganic material such as perlite and vermiculite fills out the mixture. Potting soil is used for transplants and general plant growth. Both perform well when growing plants. One barrier to growth, however, is either the quality of the compost or the soil. Potting soils must have a high-quality soil put into the mix, or it may fail as a growing medium. Check the pH and nutrients in garden soil when making potting soil by hand. Potting mix is affected by the quality of the compost as well as the peat that absorbs water. Low-quality peat has a low porosity making it hold too much water. Compost that is spent or not composed properly may contain too many microorganisms. Use potting mix and potting soil in the correct situations. Potting mix is often best for plants that require a nutrient boost, such as flowers and young or germinating plants. Potting soils are used to grow plants that are not heavy feeders, such as tropical or sub-tropical house plants. Choosing potting mixes versus potting soil requires examining the packages. Make sure you choose the correct potting medium for your purposes. Test your mix before using it, advises The National Organic Program. Make sure the particle size is correct and that it will hold up your plants. Use a soil-less mixture to hold small plants that do not yet have a root system. Potting soil holds up plants with deeper roots. What Does Loamy Soil Mean? Where Can I Buy Aspalathus Linearis Plants?